In the next few weeks, you will see a new John Bead advertisement in all the magazines we take a full page in. 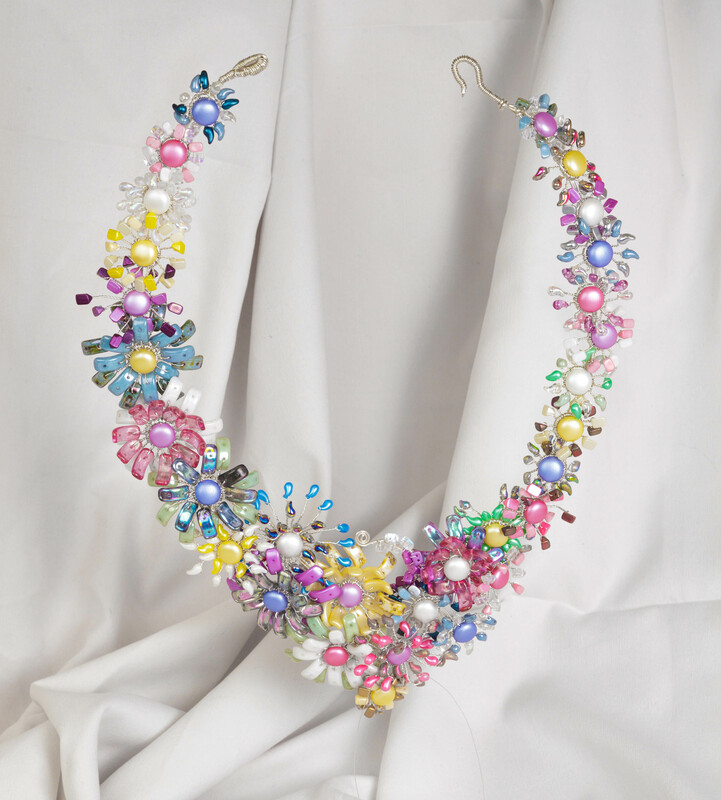 The featured beads are in this statement necklace by Lena Gillespie. We think Lena has single handedly brought spring to our company! We have a tutorial which uses two different sizes of PRECIOSA Candy™. 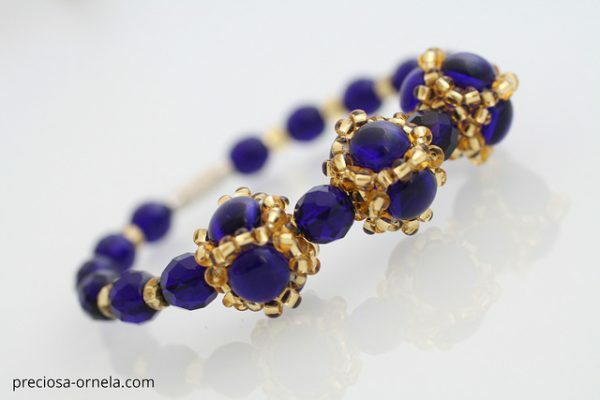 You can make yourself a luxurious and lovely bracelet. 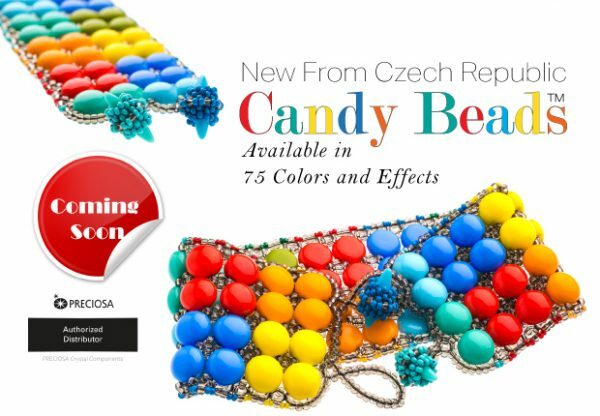 The range of pressed glass beads from the PRECIOSA Traditional Czech Beads™ brand includes the two-hole PRECIOSA Candy™ cabochon with a round base. It is available in three sizes (6, 8 and 12 mm) and in many shades and types of surface finishes. 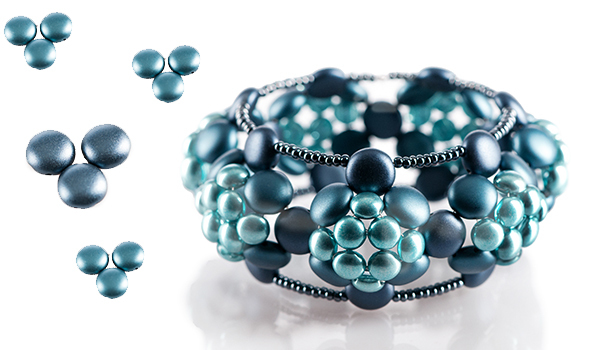 These beads can be connected in different ways, edged and combined with other PRECIOSA beads and seed beads. 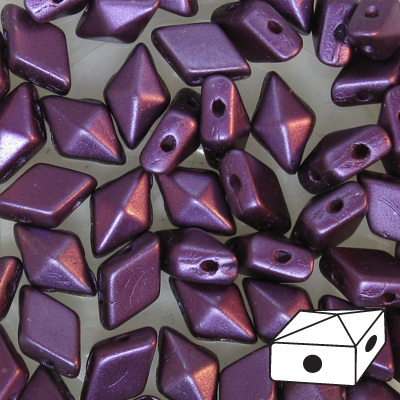 PRECIOSA Candy™ Pressed Beads are Here! 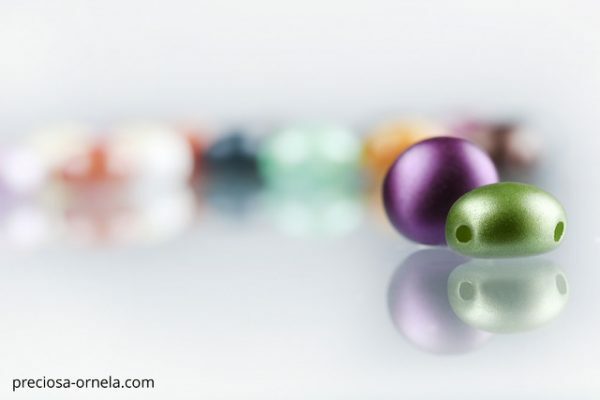 PRECIOSA Candy(TM) is two-hole low cabochon with a round base with a diameter of 8 mm. 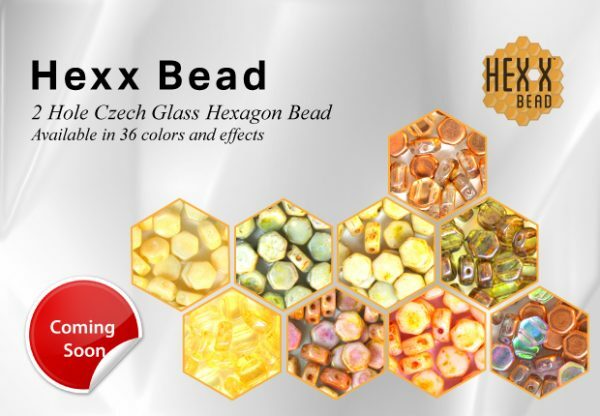 The shallow curvature in the lower section greatly simplifies sewing round and joining up the beads or their use with other seed beads and selected beads from the PRECIOSA Traditional Czech Beads (TM) brand. 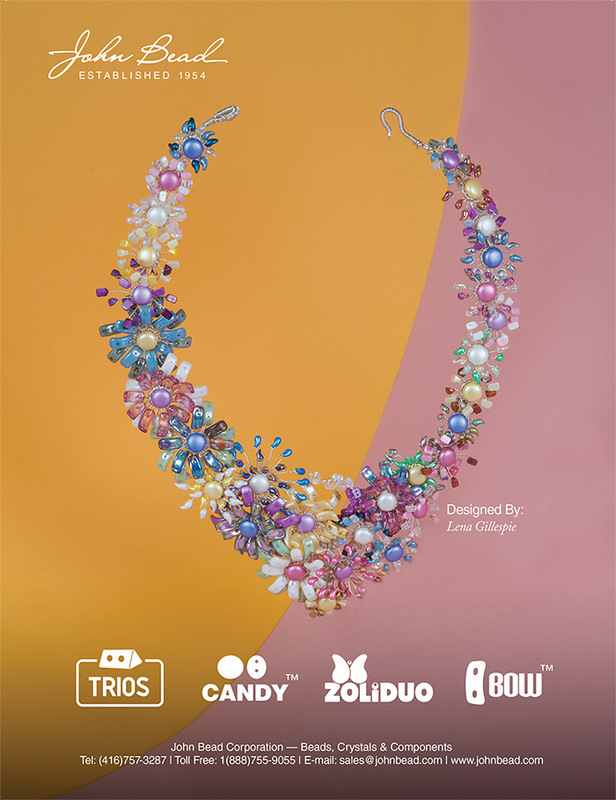 Author Carmi CimicataPosted on May 25, 2016 May 25, 2016 Categories Preciosa Candy BeadTags Beads - PRECIOSA Candy (TM)Leave a comment on PRECIOSA Candy™ Pressed Beads are Here! 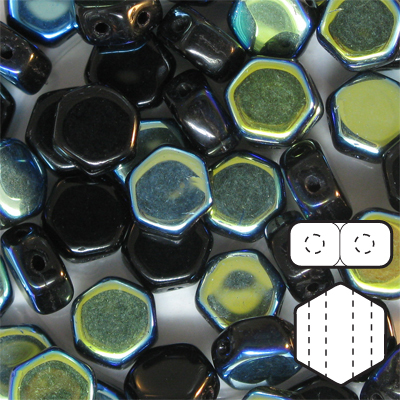 New Bead Shapes Being Launched Summer 2016! 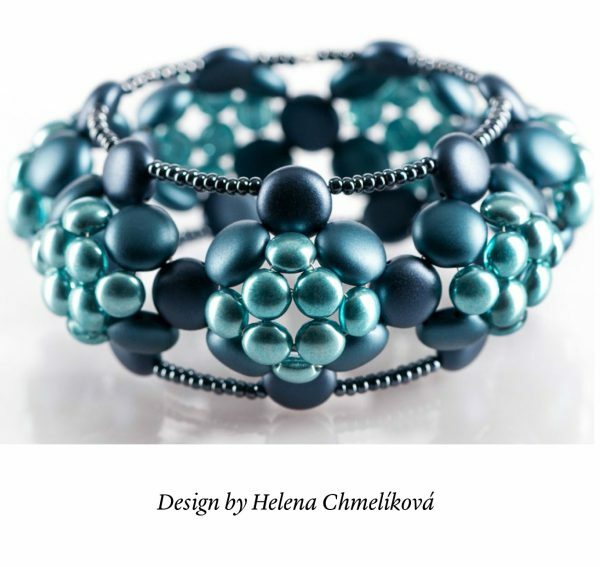 Author Carmi CimicataPosted on May 17, 2016 May 17, 2016 Categories Forget-me-not Bead, Hexx Bead, Preciosa Candy BeadTags Beads - Candy, Beads - Hexx, Forget-Me-KnotLeave a comment on New Bead Shapes Being Launched Summer 2016! 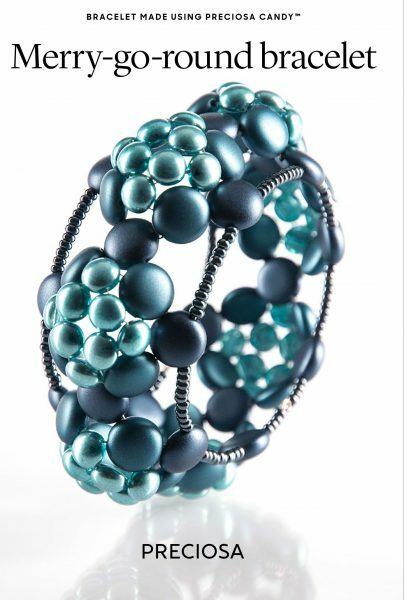 Four New Beads Coming Soon To Our Catalog! 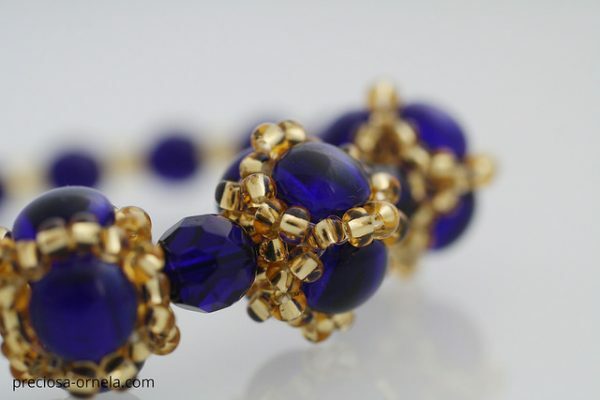 John Bead is pleased to announce the arrival of four new and unique beads this May/June! 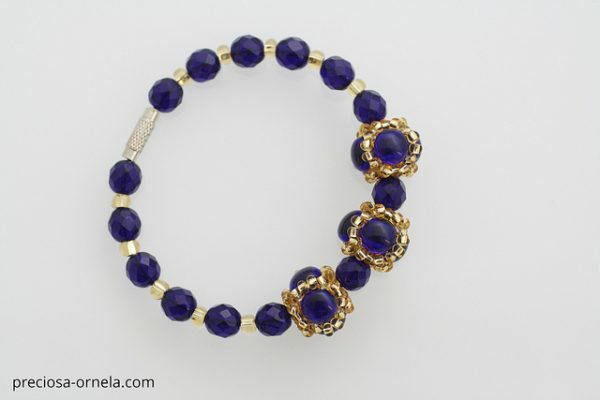 DiamonDuo™ Beads – A true gem among 2 hole beads! 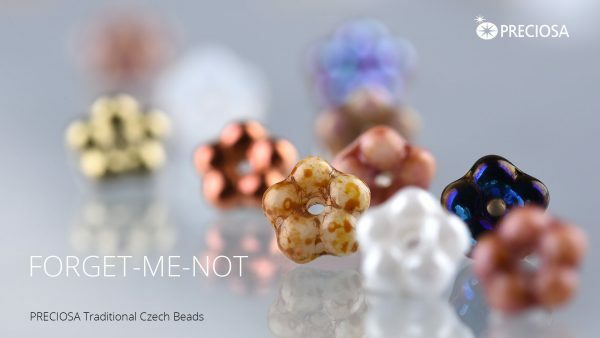 Author Carmi CimicataPosted on May 9, 2016 Categories Bead, Hexx Bead, Other Beads, Preciosa Candy Bead, Preciosa Forget-Me-KnotTags Beads - Candy, Beads - DiamonDuo, Beads - Hexx, Forget-Me-KnotLeave a comment on Four New Beads Coming Soon To Our Catalog!